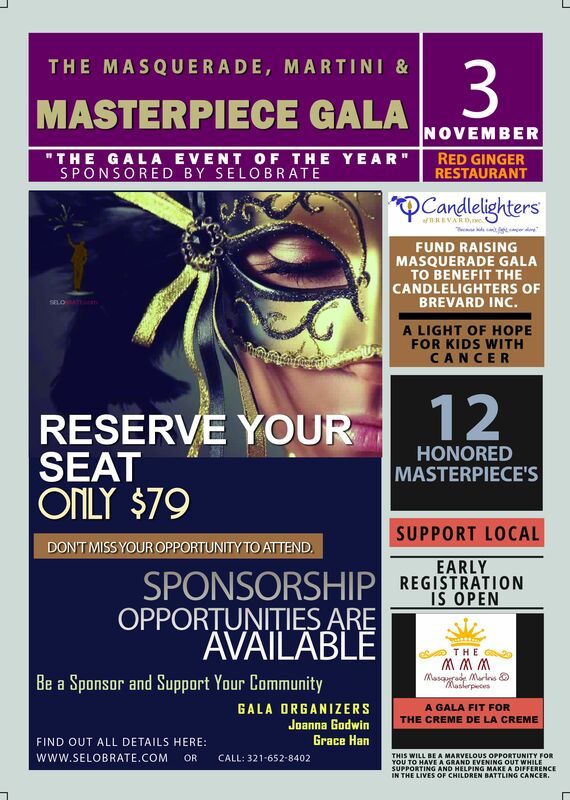 "The Gala Event of the Year"
At the Red Ginger in the Melbourne Square The Masquerade, Martinis & Masterpieces Gala is back! Your participation & Support and involvement exceeded our expectations. Everyone at the Gala looked so elegant and beautiful. Tuxes, Evening gowns, extraordinary mask. 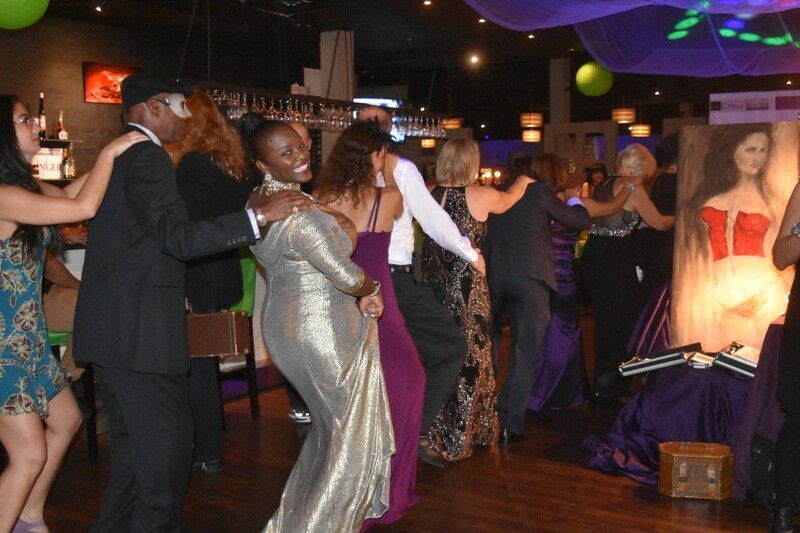 You all went above and beyond to step out on the town for one fabulous and glamorous evening. 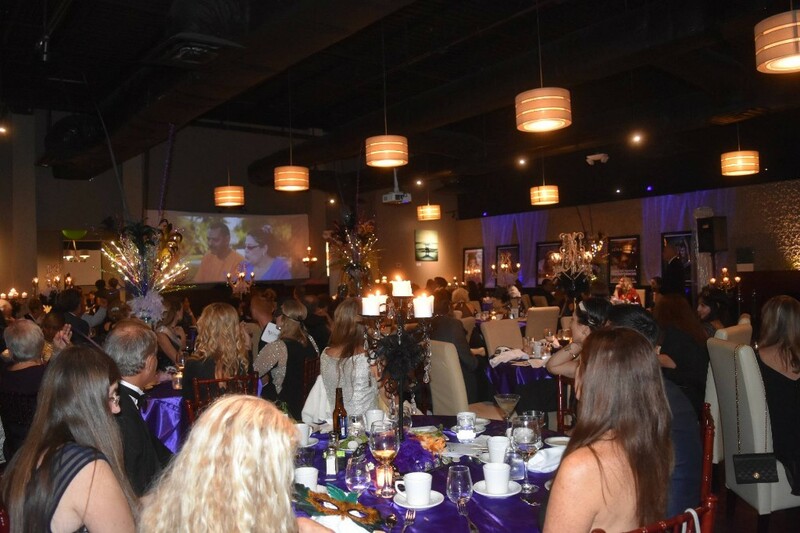 Joanna, Grace and I would like to personally thank all of our friends, our guests, and our sponsors who joined us and supported our dream to create this spectacular evening, your generosity allowed us to raise $6,900 for the Candlelighters' of Brevard. Inc. A Light of Hope for Kids with Cancer. Thanks to our wonderful sponsors, Masterpieces Sponsors Mercedes-Benz-Audi-Porsche, Detra Morris Narrigan by J. Hilburn, Rio Beauty by Gisele Rieger, Silhouette Hair Design by Darlyne Mcgee, Star Body by Babs Marich, StarStaff, Inc. by Avery Plavin-Vadella We extend our sincere appreciation to our Sponsors & Partners without whom our Gala would not be possible. We invite you to support these community-minded organizations. 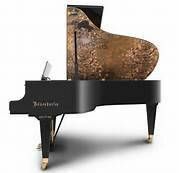 The Gala Masterpieces Brian Gatchell performed Andrew Lloyd Webbers “Phantom of the Opera” on the limited edition Bösendorfer piano “Woman In Gold” delighted us with the eloquent dinner music. The Fashion Show presented by J.HILBURN-Detra Narrigan,, stylist for J. Hilburn Italian Men's Suits Fashion Show was enjoyable and impressive on the evening; her models showcased her clothing line and this gala with quite a bit of pizazz. 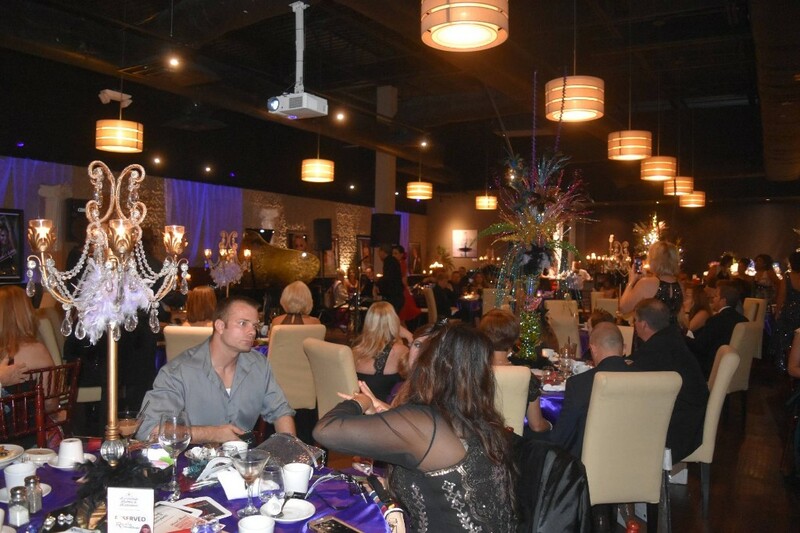 Ellen Abbott of Absolutely Fabulous Event Rentals turned the simple ballroom into a palace of amazement and beauty with the stunning centerpieces and decorative fixtures throughout. 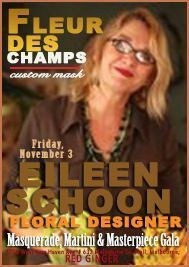 Eileen K. Schoon of Fleur des Champs did a wonderful job creating so many of the masks we saw during the evening. 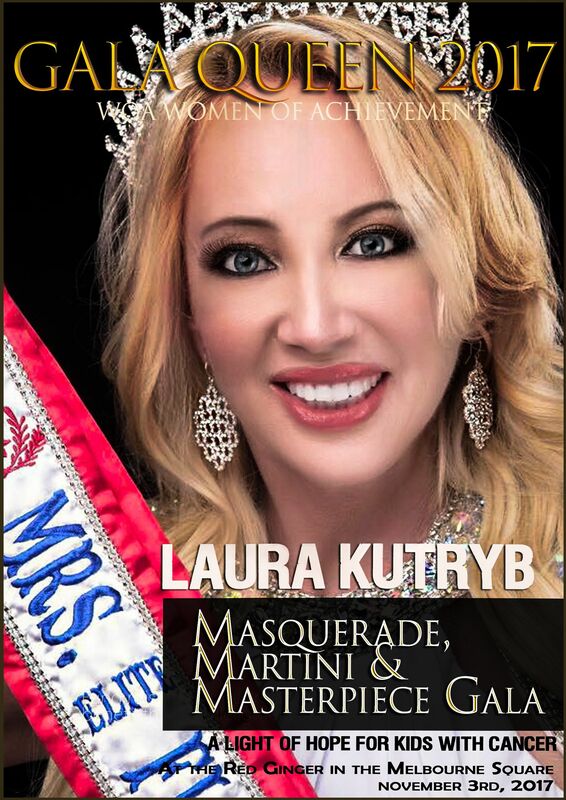 We were incredibly honored to have Laura Anders Kutryb aka Mrs. Elite Sunshine State WOA (Women of Achievement) join us as this year’s "Gala Queen. 2017" as well. 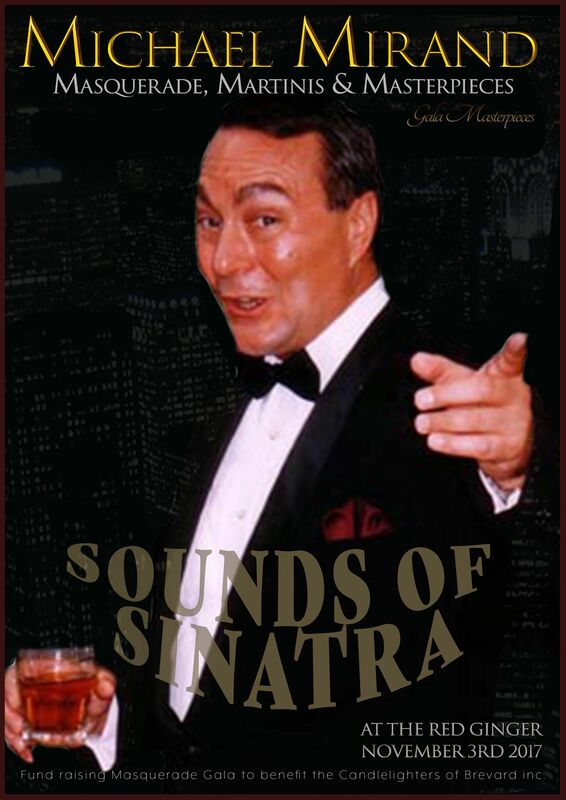 Sinatra Impersonator Michael Mirand did a marvelous job on the programs and with performance throughout the night. The Gala Masterpieces Mr. Paul Beach Smooth Jazz Celestialization Mr. Paul Beach did an amazing performance. 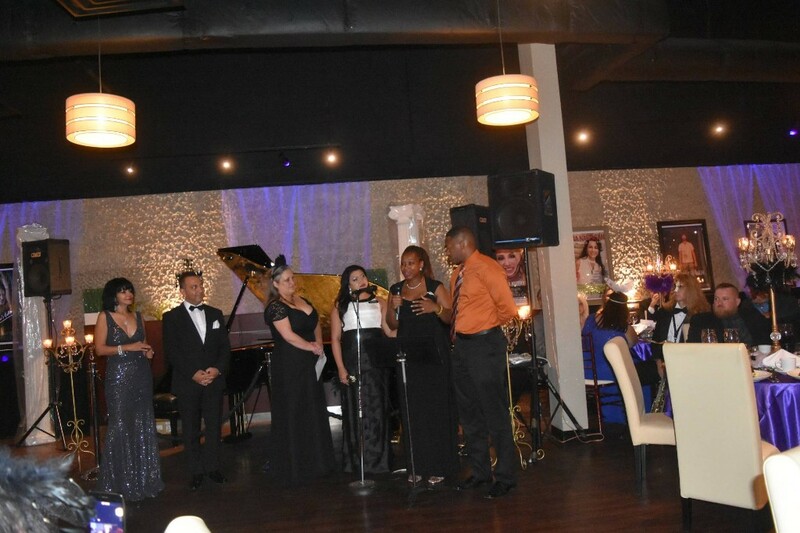 We were incredibly honored to have the World Famous Due Singers Shades of Soul- Jena Fair and Omar Khan at the This Years Gala. Gala Masterpieces Viviana Moscoso & Juan Esteban Alvarez were outstanding with their performance. Radio TakeOver Chuck Fresh and Karen Wooden as always did an excellent job during the evening talking to and interviewing our Gala guest. 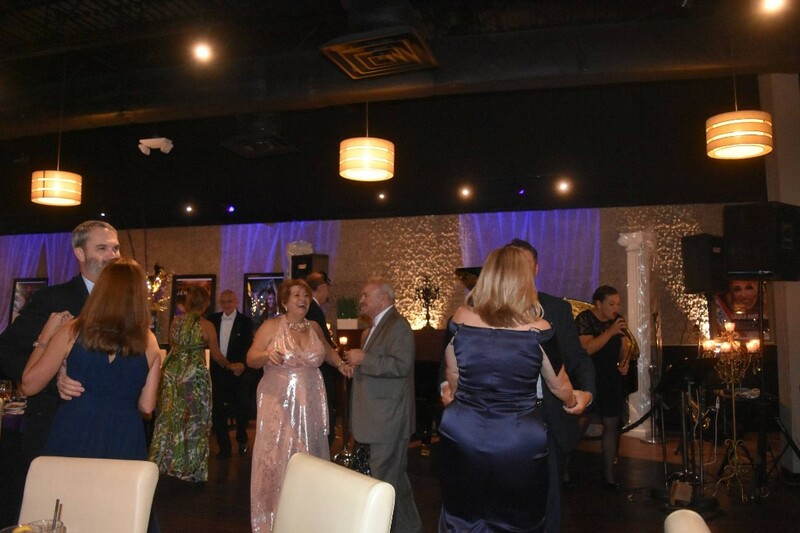 After the evening of eleg, nce DJ Lajon Entertainment packed the dance floor and started the second round of unsurpassed fun that extended the midnight hour. Everyone was so greatly appreciated. We were humbled by the participation, hard work, dedications, from all of our volunteers. 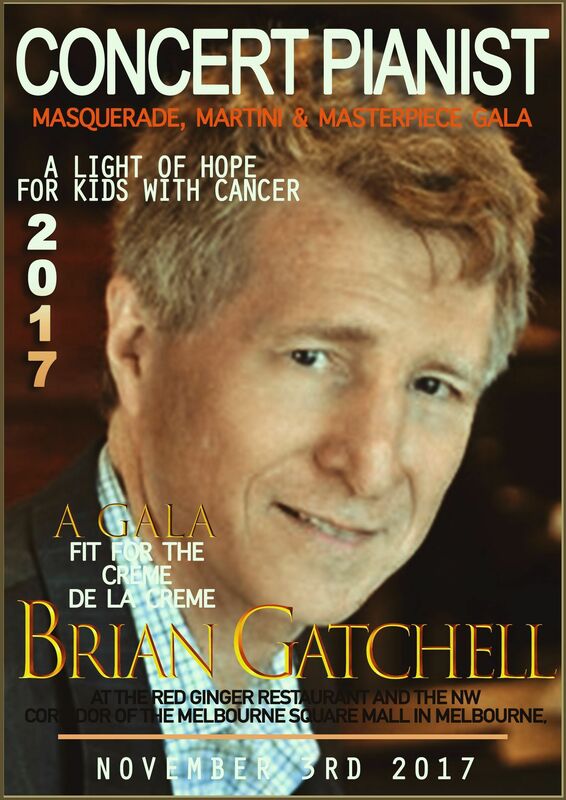 Welcome esteemed Concert Pianist Brian Gatchell to this year’s Masquerade, Martini & Masterpiece Gala. Brian will be performing an original score as well as Andrew Lloyd Webbers “Phantom of the Opera” on the limited edition Bösendorfer piano “Woman In Gold” Inspired by Gustav Klimt (1862-1918) one of the most famous Austrian painters and artists of the Viennese Art Nouveau. This piano is #1 of this limited collection. Brian holds a Master’s degree in Piano Performance and was a concert artist touring the U.S. for many years, performing as soloist, duo pianist and concerti with orchestras. His recording of the original version (with jazz band) of Gershwin’s Rhapsody in Blue was one of the first released since Gershwin himself recoded it in the late 1920’s. He was also Professor of Piano at Heidelberg University in Ohio. He started Atlantic Music Center in 1990, a store specializing in pianos and stringed instruments. Additionally, Atlantic Music Center features a large rebuilding shop. Brian frequents clinician and numerous Piano Technician Guild conventions and piano workshops on many aspects of piano technology. The Klimt is available in models 214vc (7”) and the 200 (6’7”) and limited to 25 instruments. Renowned Pianist, Local Brevard resident and owner of Atlantic Music Center Mr. Brian Gatchell is currently showcasing the #1 piano in this limited collection. This Bösendorfer model 214 VC was recently unveiled at the Breakers for the Palm Beach Symphony and we are honored to have an unveiling of this masterpiece at the 2017 gala. . Thanks to our wonderful sponsors! We extend our sincere appreciation to our Sponsors & Partners without whom our Gala would not be possible. We invite you to support these community-minded organizations. 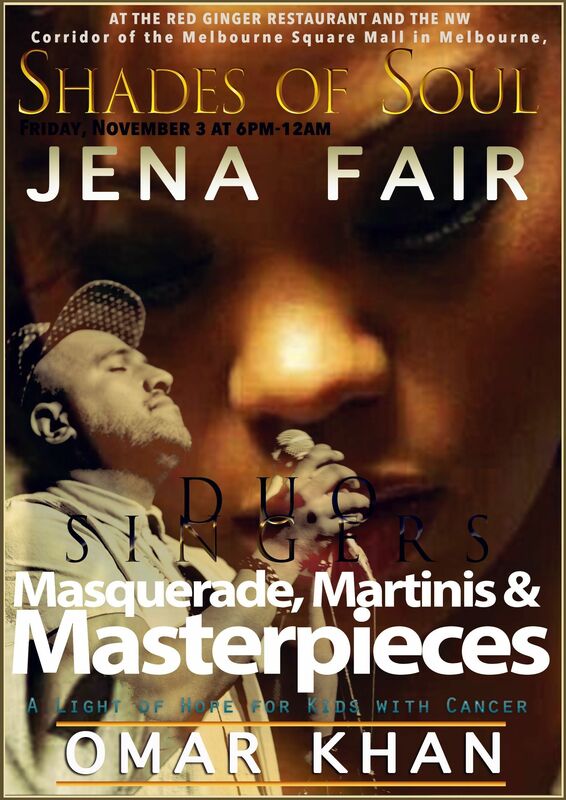 Planning for the next Masquerade, Martinis & Masterpieces Gala has begun! 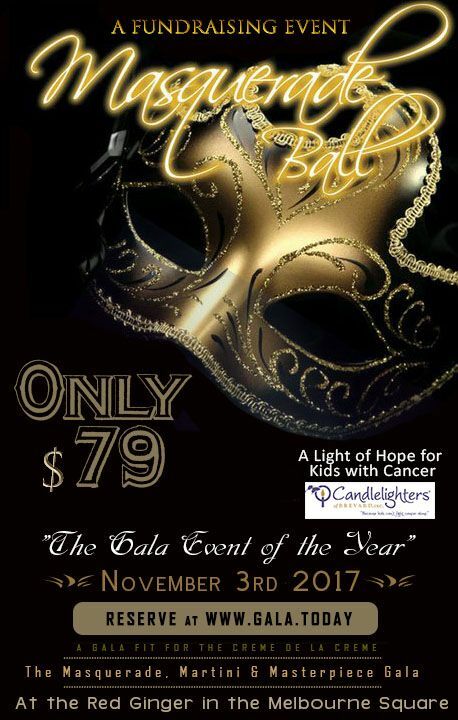 This will be a marvelous opportunity for you to have a grand evening out while supporting and helping make a difference in the lives of children battling cancer. 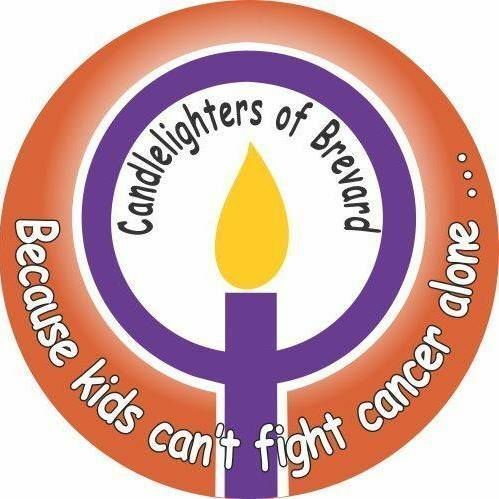 Candlelighters' of Brevard. Inc is a non-profit organization dedicated to children with cancer and their families by offering emotional support and financial assistance. 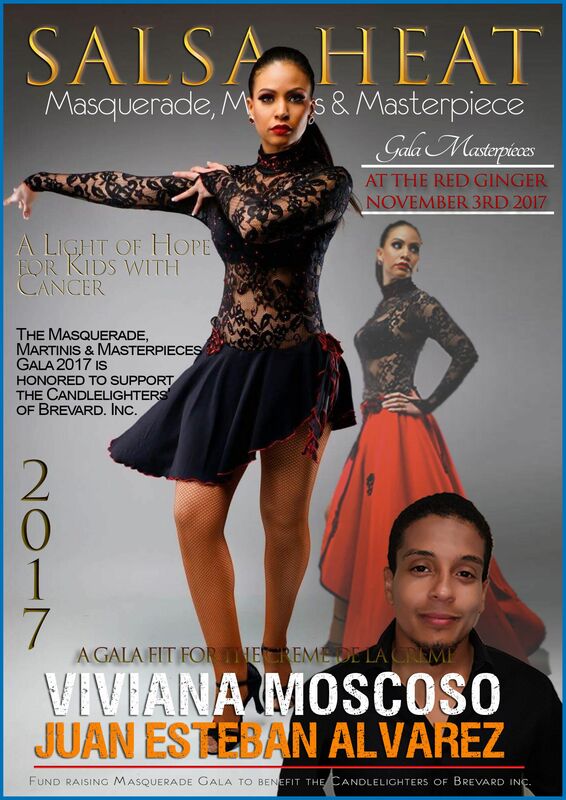 “Masquerade, Martinis & Masterpieces,” is being held on November 3, 2017 at the Red Ginger Restaurant and the NW Corridor of the Melbourne Square Mall in Melbourne, Florida from 6 PM to midnight; this Red Carpet affair will feature delicious food, fine art, dance performances, musical entertainment and a runway fashion show. 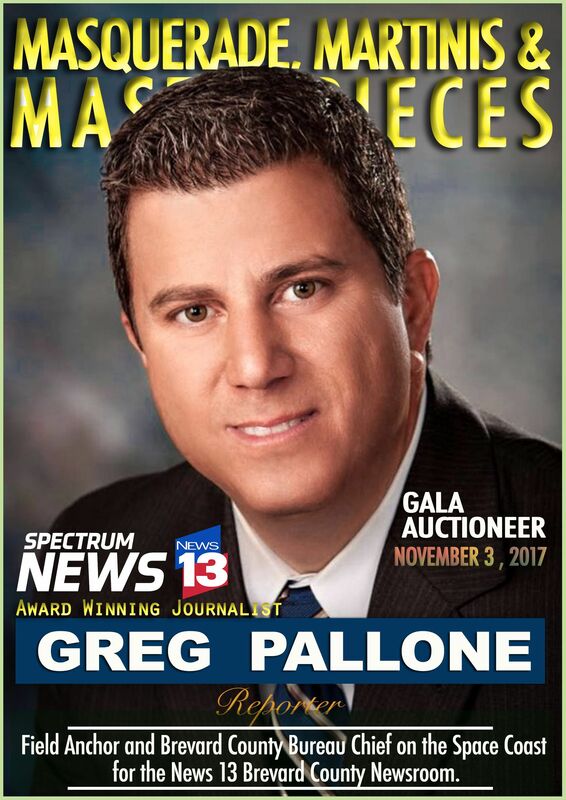 Honorary guest, Award Winning Journalist and Channel 13 News Anchor Mr Greg Pallone will be this year’s Gala Auctioneer supporting the Candlelighters of Brevard. More highlights of the evening will include Michael Mirand; a Sinatra Impersonator/Jazz Singer, and Saxophone Sensationalist Mr. Paul Beach. Organizers and Creators of this enchanting event Selo Alkaranfil, Joanna Godwin and Grace Han are honored to host this exquisite evening to support the Candlelighters of Brevard. This highlighted evening has much to offer such as featured gala performer and local Brevard resident and esteemed Concert Pianist Brian Gatchell. Brian will perform an original score as well as Andrew Lloyd Webbers “Phantom of the Opera” on the limited edition Bösendorfer piano “Woman In Gold” Inspired by Gustav Klimt (1862-1918) one of the most famous Austrian painters and artists of the Viennese Art Nouveau. This piano is #1 of this limited collection and is available for purchase for $185,000. Exhibit showcasing highly sought after Gala Art Curator and accomplished local/international artist Christopher Maslow as well as artists Panther Brunotte, Yacu Malik and June Miller. Captivating your evening with an elegant dining experience, Detra Narrigan - Personal Stylist with J.Hilburn - Luxury Italian Custom Men's Clothing, Brevard Ballet Academy along with owner/instructor Elena Shokhina will be greeting guests and performing an elegant themed mini recital, adding a little dance sizzle to the evening will be Dance Couples Chris Marcelle & Larry Kaczmarek and Salsa Heat’s Viviana Moscoso and Juan Esteban Alvarez. 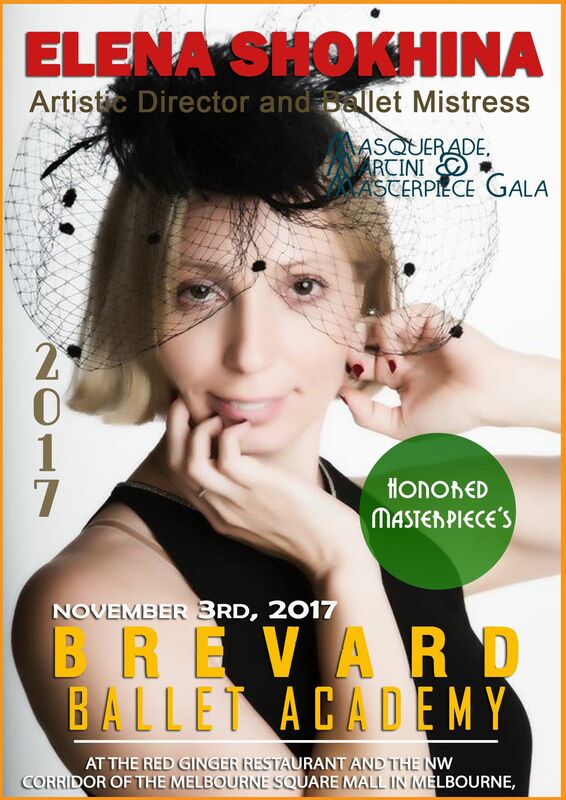 This Masquerade Gala will be Brevard’s event of the year! 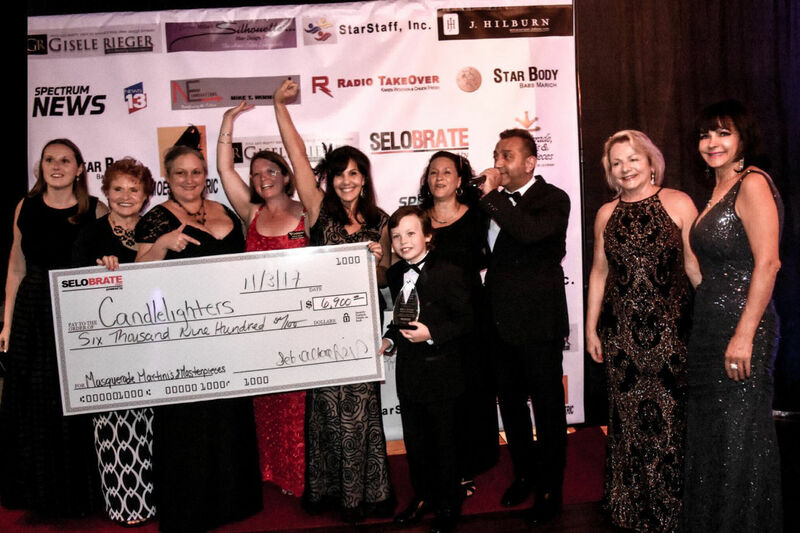 Come be a part of a truly unforgettable evening as you support the Candlelighters of Brevard Inc.
Organizers and Creators of this enchanting event Joanna Godwin and Grace Han are honored to host this exquisite evening to support the Candlelighters of Brevard. 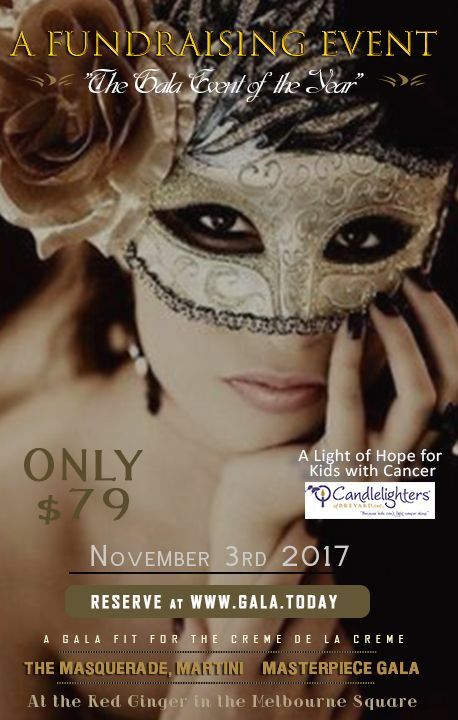 The Masquerade, Martinis & Masterpieces Gala 2017 is honored to support the Candlelighters' of Brevard. Inc.
financial assistance.We are committed to ensuring no one has to face the diagnosis of childhood cancer alone. . While nobody can see the diagnosis coming, we can make sure that Brevard patients and families have the support and resources they need to fight back. From economicassistance to emotional encouragement, join Candlelighters of Brevard in helping families survive the extreme physical, psychological and practical hardships of this disease. What many people may not understand about childhood cancer is that the devastation reality of the disease goes miles beyond anything physical. In addition to the extreme financial strain of paying for care, Brevard based families must also devote an overwhelming amount of time, travel and money for countless other expenses. From the shock of the diagnosis to the painful side-effects of treatment, the ongoing heartbreak and emotional impact felt by the entire family is hard to imagine. Because there are no pediatric oncologists in Brevard, 100% of our families must travel out of the county in order to seek medical care. These families also drive approximately 229,623 miles to their treatment centers. In 2016 these families spent 947 days at clinic visits, 608 days in-patient and over 175 days were spent at the Ronald McDonald House. Omar Khan and Jena Fair have been making music together for over two decades. Having been part of a successful trio in the early 2000’s, with two successful singles on the radio, music video, to doing shows all over North America, the two have formed a bond as close as family. As a duo, their music takes you on a journey, sifting through genres of Pop, R&B, Soul, Hip Hop and folk seamlessly. Omar is the veritable artist. The self-taught musician, singer, songwriter, producer and photographer has been honing his craft for years and is now set to release his debut single and record “The Getaway”. Omar has opened up for artists such as De La Soul, Prince, Aloe Blacc, and the Voices In the Park day fest (w/ Stevie Nicks, Bryan Adams) among others. Also being chosen as one of nine artists to sing in Rock Legend's U2's single for "song for someone". Upon graduating high school, Jena received a full scholarship to attend the prestigious Berklee College of Music’s Performance Program in Boston Massachusetts. During her studies there Jena furthered her musical capabilities focusing less on theatre and developing more of a taste for music production and song writing. More recently Jena just returned from several overseas stints in Asia touring with Henri Brown (the cousin of Jimmy Hendrix) and contracts for Disney Cruise Line. Currently Jena & Omar are writing, collaborating, performing every opportunity they get while focusing their talents on solo records, and writing for film & TV. Concert Pianist Brian Gatchell will be performing an original score as well asAndrew Lloyd Webbers “Phantom of the Opera”Bösendorfer piano “Woman In Gold” Inspired by Gustav Klimt (1862-1918) one of the most famous Austrian painters and artists of the Viennese Art Nouveau. This piano is #1 of this limited collection. 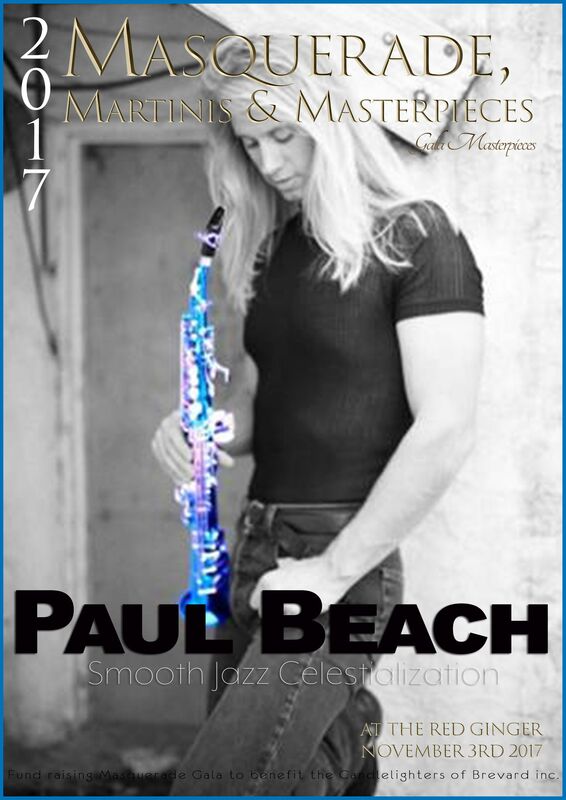 Welcome Smooth Jazz Celestialization Mr. Paul Beach to this year’s Masquerade, Martini & Masterpiece Gala. Everyone loves sax! That’s exactly the reason that Paul first picked up the instrument while still in elementary school. He was inspired to learn saxophone at a young age while listening to his father, Sandy Beach, play the instrument. Michael has been performing throughout North America from Southern Florida, up the East Coast, to as far West as British Columbia, Canada, and all points in between. Viviana started dancing at the early age of five. Starting out as many little girls do as a ballerina at the Janet dance studio in Manhattan NY. Years past as she moved to Florida. Finding a new type of love in Latin dance. 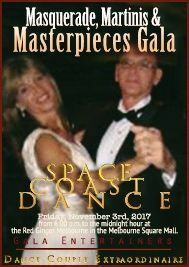 Welcome to the 2017 Masquerade, Martinis & Masterpiece Gala, Dance Couple Extraordinaire Ms. Chris Marcelle & Mr. Larry Kaczmarek.Chris & Larry pride themselves on teaching people how to dance without having to take out a second mortgage. They offer affordable Dance lessons both private and group with two instructors! 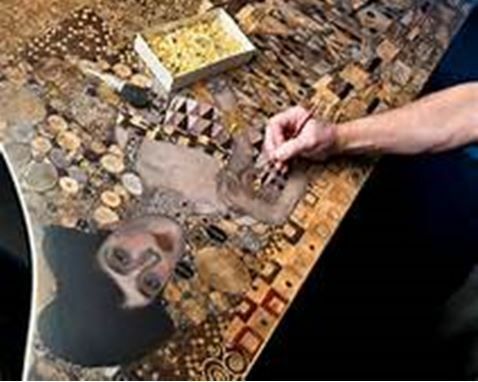 Christopher Maslow is a Miami-based fine artist whose creative practice centers primarily around painting and sculpture. A former Los Angeles resident, Maslow graduated in 2003 from The Fashion Institute of Design and Merchandising with a degree in product development. He quickly grew into a notable clothing designer and produced for multiple labels in Southern California. A few years into his career as a fashion designer, Maslow found himself gravitating towards street art. Subsequently, after many years of experimentation with multi-media, Maslow realized a greater calling to fine art. Since his transition onto canvas, Maslow has shown artwork in galleries across the United States and has experienced equal success in curation as well. 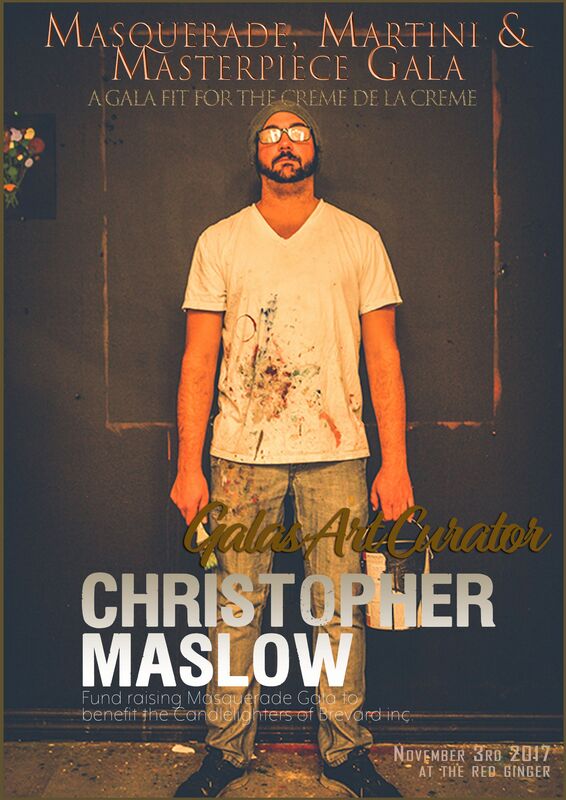 Maslow has been a resident artist at Viophilia since November 2013, and simultaneously runs a studio-gallery in his hometown of Melbourne, Florida. Mr. Maslow recently completed the Florida Tech mural in downtown Melbourne. We would like to Welcome Detra Narrigan - Personal Stylist with J.Hilburn - Luxury Italian Custom Men's Clothing. There will be a fashion introduction of this Luxury Menswear during the evening. Brevard Ballet Academy. We are honored to welcome Elena Shokhina Owner and Artistic Director of Brevard Ballet Academy and thrilled to announce that there will be a group performance by a few of her exceptionally talented student ballerinas. Panther studied art design at Columbia College in Chicago, Il., and honed her skills doing set/scenic design in the city for local productions. Her work expanded to Los Angeles, Some of Panther’s Celebrity Clientele include: Johnny Depp, Tim Burton, Gwen Stefani, Steven Tyler and Christina Aguilera. Yacu Malik is a multidisciplinary fine artist and illustrator. 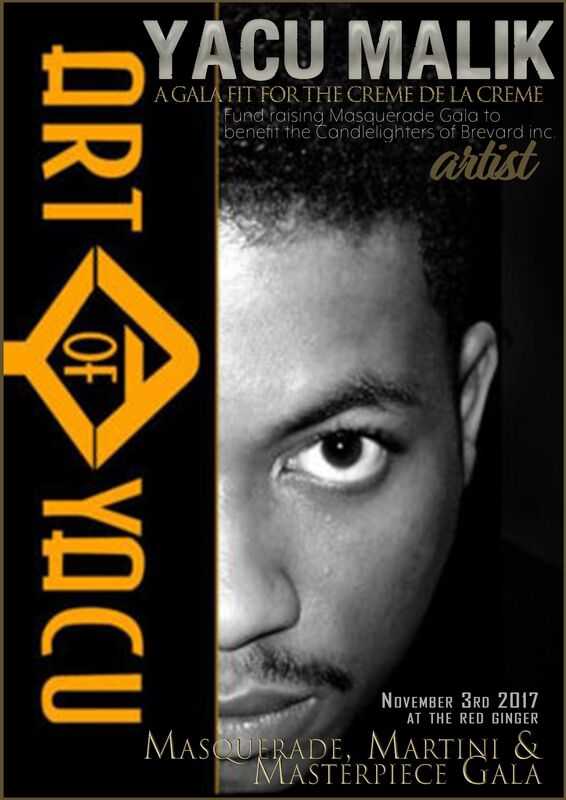 He has a Bachelor’s degree in graphic design and specializes in custom Logos and digital character creations. He has a passion and flare for personalized canvas work and is inspired to do custom portraits whether it is with a private sitting or with your own personal photographs. Welcome to our evenings Gala Mr. Greg Pallone, Anchor/Reporter for News 13 and Award Winning Journalist. Mr. Pallone has won two awards from The Associated Press for breaking news coverage. He has also been honored by the Society of Professional Journalists for excellence in broadcasting. Mr. Pallone is a community builder and leader as well as a supporter of making a positive impact in the lives of others. An award winning journalist, Greg Pallone covers his home community as a Field Anchor and Brevard County Bureau Chief on the Space Coast for the News 13 Brevard County Newsroom. That’s exactly what Greg does as a Brevard County Newsroom reporter. Greg also covers space-related stories from the Kennedy Space Center, including shuttle launches, landings and the future of space travel. Before joining News 13, Pallone was most recently the main anchor and nightside Managing Editor at the ABC/FOX combo in Savannah, Ga. It’s the same station where he began his professional broadcast journalism career 10 years earlier. Greg grew up in Marietta, Ga. He attended college at Georgia Southern University in Statesboro, and interned at a small cable station there. After graduation, Pallone worked as an anchor-reporter in Savannah and Albany, Ga. and as a reporter-anchor in Huntsville, Ala. and Charlotte, N.C. before returning to Georgia as a reporter for the CBS affiliate in Atlanta. Greg has won two awards from The Associated Press for breaking news coverage. He has also been honored by the Society of Professional Journalists for excellence in broadcasting. 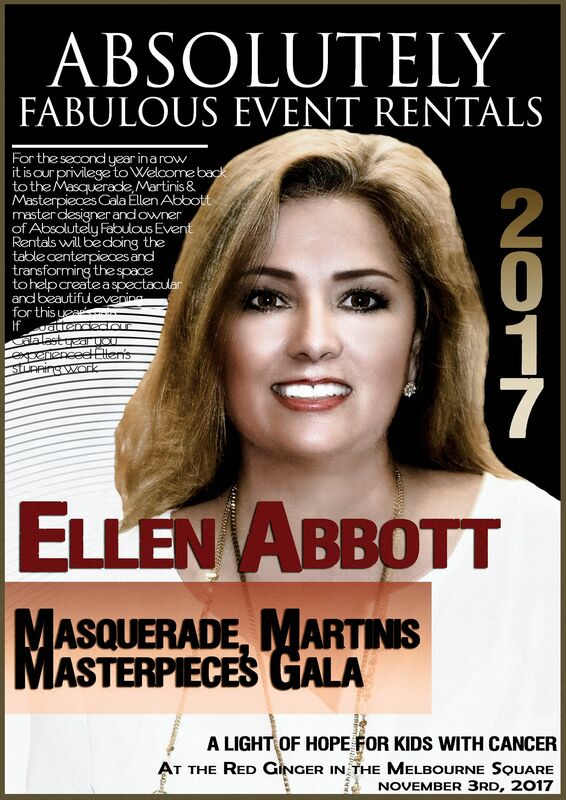 For the second year in a row it is our privilege to Welcome back to the Masquerade, Martini & Masterpiece Gala Ellen Abbott master designer and owner of Absolutely Fabulous Event Rentals will be doing the table centerpieces and transforming the space to help create a spectacular and beautiful evening for this year’s gala. 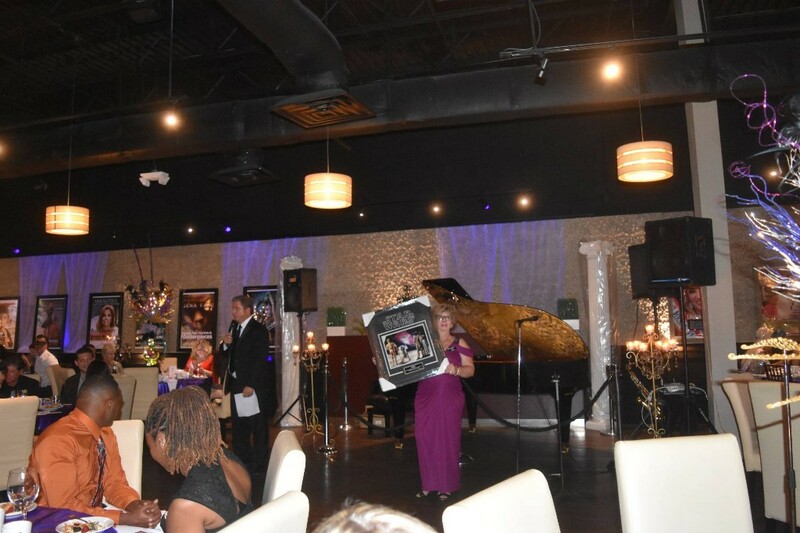 If you attended our Gala last year you experienced Ellen’s stunning work. RADIO TAKEOVER is the Galas highlight media entertainment and evening news source. 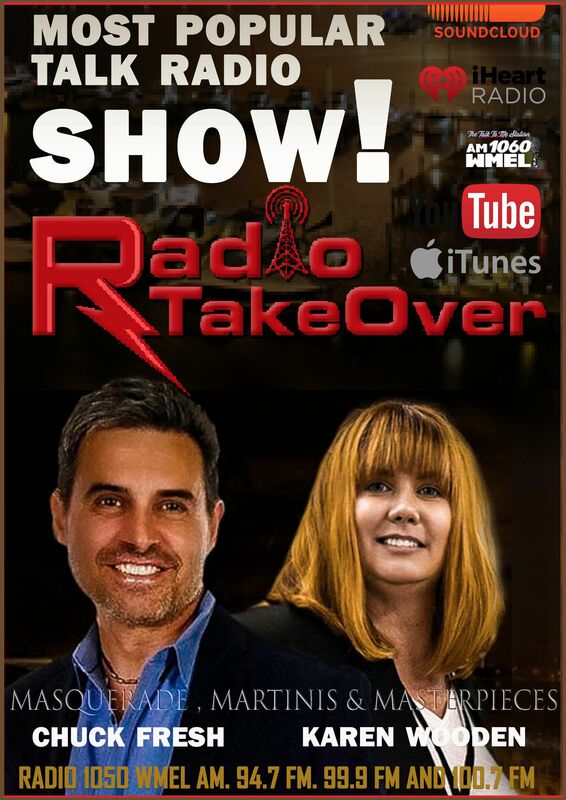 RadioTakeOver with Karen Wooden and Chuck Fresh is a weekly On-Air news magazine. They are a mid-work week coffee break! Sharing their take on the week's top local and nationall headlines, celebrities, entertainment, humor and interesting guests. 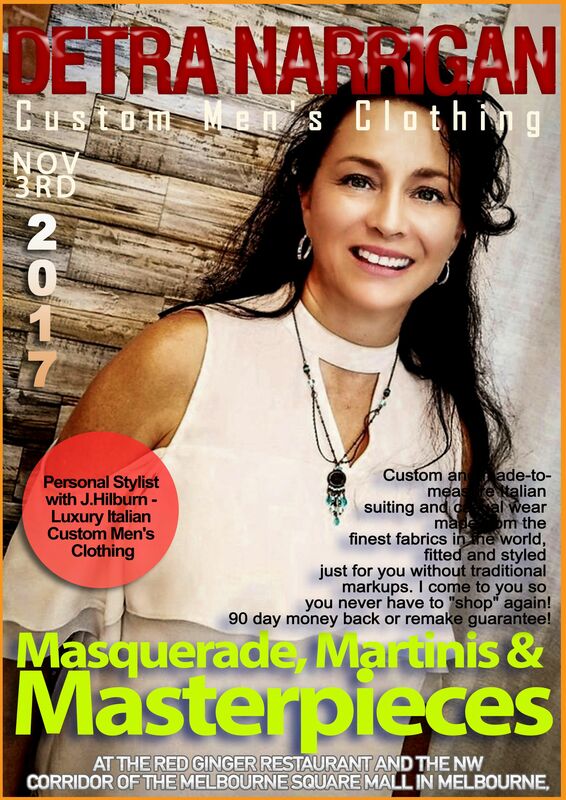 For the second year in a row it is our privilege to Welcome back to the Masquerade, Martini & Masterpiece Gala Eileen Schoon floral designer and owner of Fleur des Champs in downtown Melbourne will once again create custom mask and will have mask on display and for sale during this year’s gala. 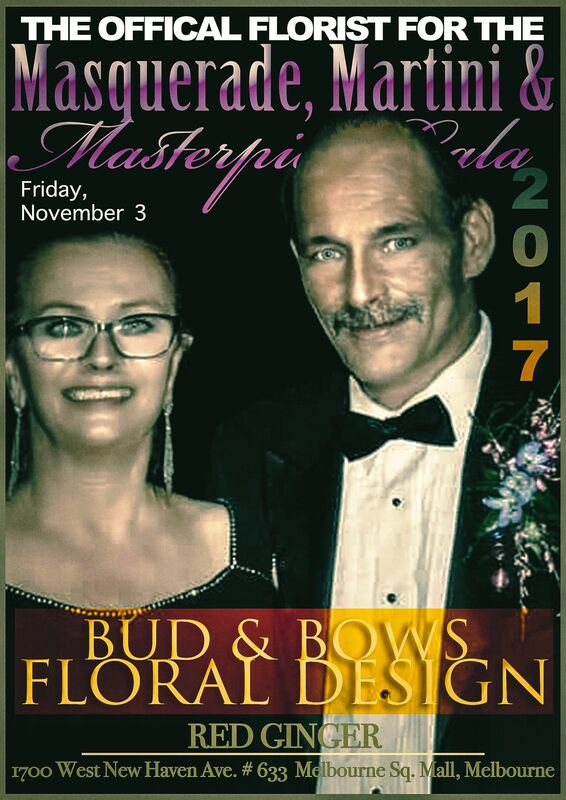 Thrilled that Buds & Bows Floral Design is the official florist for the Masquerade, Martinis & Masterpieces Gala 2017 and they will be offering you customized floral bouquet designs prior to and during the evening so follow along to find out the amazing deal you can get! Check it out! Many of us were affected by Hurricane Irma, fortunately not catastrophically like many others, however; we did have some destruction, flooding, wind damage, the loss of power and refrigerated items. Many of us had to evacuate our homes and have had no recent income. The SeloBrate.com team realizes that Hurricane Irma put a financial toll on many. In order to help you attend the gala and not stress over the cost we have significantly lowered the ticket price to give you the opportunity to attend the Masquerade, Martinis & Masterpieces Gala 2017 for an unprecedented evening of entertainment, delicious food and more. An evening of fun may just help set you back on the path to normalcy. Includes: Set up space during Mall hours and reception. Great opportunity to be seen by public and to mix and mingle with Gala guests during the reception.